Richard Keogh says he will thrive on the responsibility of being named Derby County captain. The 25-year-old centre-half signed for the Rams for a fee in excess of £1m on Thursday and manager Nigel Clough immediately made him skipper. 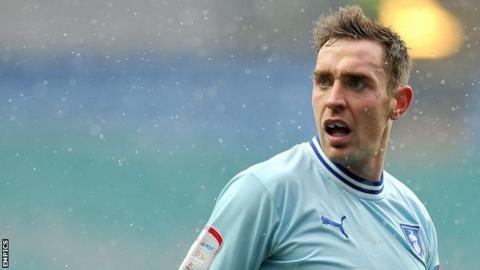 Keogh, who was also captain at the Sky Blues, told BBC Radio Derby: "I thrive on the pressure. I feel it brings out the best in me. "It's something I look forward to and I cannot wait to get out there and play." Keogh was one of the few players to impress in a Coventry side that were relegated from the Championship last season. He added: "The experience with Coventry will help me as a player and a person. "I feel like at 25 I am still learning and there is a lot more to come for me. But I have quite a lot of experience and want to hit the ground running."